The challenge this time is called Outstanding Occasions. I used images from the Lawn Fawn Happy Wedding stamp set. I also used the coordinating dies. I did a bit of quick Copic coloring to make my sweet little images even sweeter and added a few gems to finish my card. This set is precious and I think it needs more ink time! Gorgeous card! 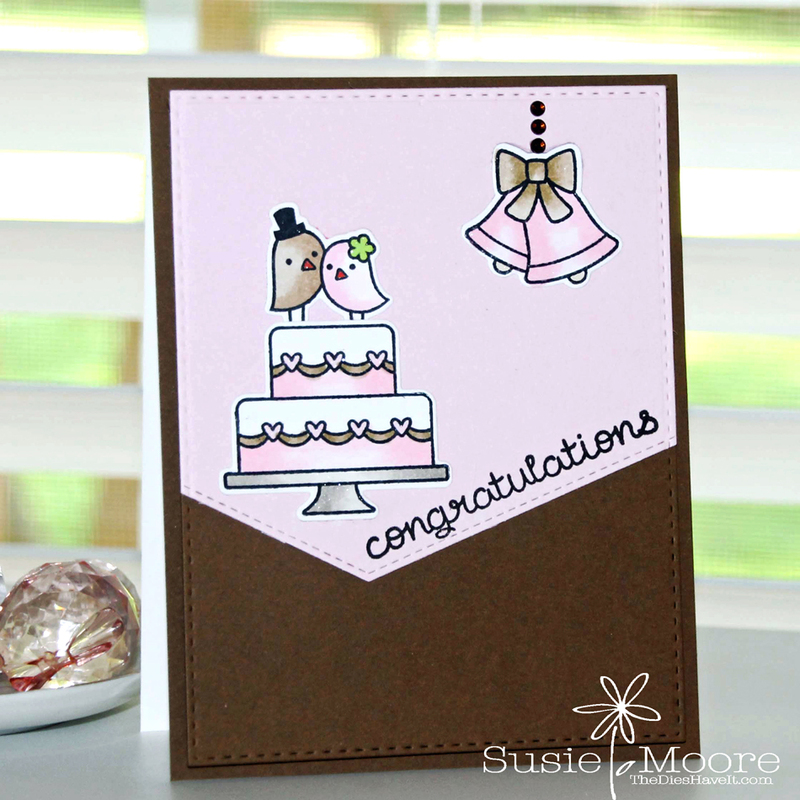 I love the pretty pink and brown color combo! 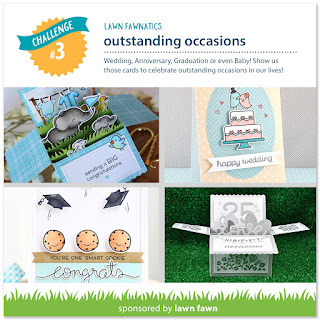 Thanks so much for sharing with us at Lawn Fawnatics! I like the way you colored the bells, and the chevron you used adds a bit of originality that is very pleasing.